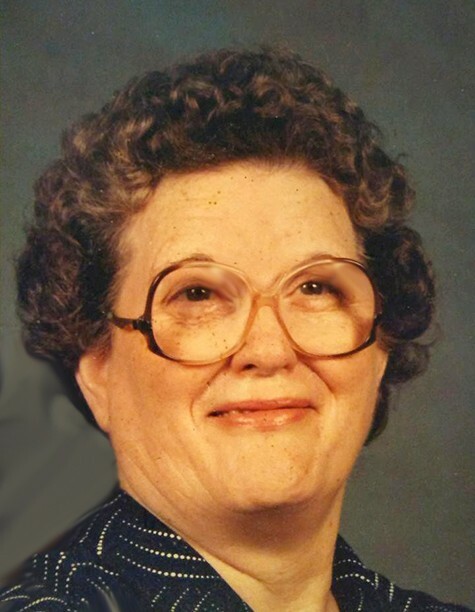 Lela Lorene (Coles) Clinkenbeard, 97, of Whiting, Iowa, passed away on Tuesday, January 29, 2019, at Pleasant View Care Center in Whiting. Funeral services will be 10:30 A.M. Monday, February 4, 2019, at the Whiting Christian Church in Whiting, with Pastor Josh Weece and Ken Carlson, officiating. Burial will follow in the Whiting City Cemetery. Visitation will be 5:00 – 8:00 P.M. Sunday, February 3, 2019, with a prayer service at 7:00 P.M. led by Ken Carlson, at the church. Arrangements are under the direction of Rush Family Care Service in Onawa, Iowa. Lela Lorene was born on October 26, 1921, in Cleveland County, Oklahoma, to Orum Omega and Edna E. (Canfield) Coles. She married Arvin Leon Clinkenbeard on July 28, 1943, in Norman, Oklahoma. The couple moved to Sergeant Bluff, Iowa, in 1948, and then settled in Whiting, Iowa, in 1950. She worked as a homemaker and as a housekeeper. She was a member of the Whiting Christian Church, where she taught Sunday school and was active in the Dorcas Society. She was a lifelong member of the DAV Auxiliary and a 67-year member of the American Legion Auxiliary. Survivors include two daughters, LaDonna and husband Doug Slack of Kalama, WA, and Linda Ponce of Onawa, IA; seven grandchildren; ten great-grandchildren; and one great-great-granddaughter. She was preceded in death by her parents, Orum Omega and Edna E. (Canfield) Coles; her husband, Arvin Leon Clinkenbeard; two sons-in-law, Jose Ponce and Danny J. Seward; great-granddaughter, Breanne Simpson; and siblings, Charles Coles, Melvin Coles, Marvin Coles, Neva Bruesch, and Naomi Lowery. Memorials in Lela’s memory may be directed to the Emery Johnson American Legion Post #481, Whiting, Iowa, the Randall Mission at the Whiting Christian Church, or the Whiting School Foundation.